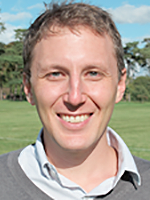 Dr Dustin Evan Garrick is a Departmental lecturer and Senior Research Fellow; Co-Director, Smith School Water Programme and Co-Convener, Oxford Water Network. His work focusses at the interface of water and the economy, specializing in political economy and institutional analysis of water allocation reform and water markets as responses to climate change, urbanization and sustainable development challenges. 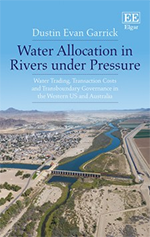 His recent book, Water Allocation in Rivers under Pressure, assesses the evolution and performance of water markets and basin governance reforms in Australia and the US, building on long-term research partnerships in the Colorado, Columbia and Murray-Darling Basins. He currently leads a research observatory on decentralisation and drought resilience in the Rio Grande/Rio Bravo Basin of Mexico and the US, where he is developing indicators of fiscal decentralisation and assessing new tools and incentives for adapting to drought-related shocks. He also leads a World Bank-funded project on water reallocation from agriculture to cities in rapidly growing economies, examining the implications for resilient cities and rural livelihoods. This work has included extensive field research in Australia, Mexico and the US and been supported by the Australian Research Council, Canadian Research Council, Global Water Partnership, Fulbright Commission, OECD and World Bank.